He said the engine, modified at the Kurla car shed, is ready for use and can be deployed anytime if needed. Underlining the difficulties the CR face to ensure that suburban train services run smoothly even during heavy rains, Mr Udasi referred to the downpour that had caused huge disruption of train services last September. 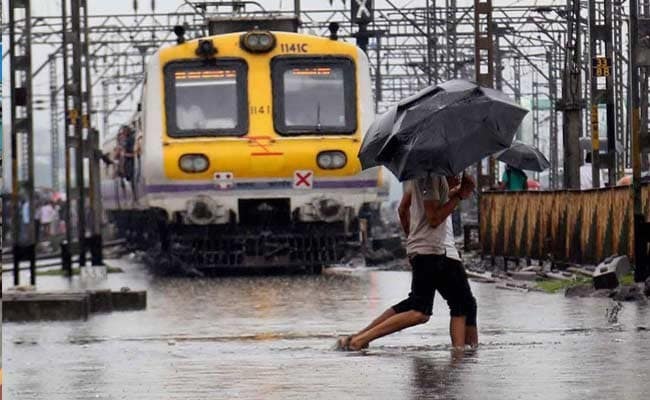 "Heavy rainfall had marooned 25 rakes on tracks in last September as water on tracks had entered traction motors of the locomotive engines," he said. Mr Udasi said these rakes were required to be repaired or replaced on war footing to keep Mumbai's lifeline running. "All these rakes were full of water due to which they were put out of service. It took us five days to make these rakes operational again," he recalled. Explaining the utility of the modified locomotive engine, Udasi said accumulated water on tracks can enter the traction motor fitted at the bottom of a locomotive engine and cause its failure. "Presently, four inches of water on the tracks can cause such a disruption. In the new locomotive engine, the traction motor has been sealed completely to prevent the track water from entering it," Mr Udasi said, adding that temperature sensors are also being used to check rise in locomotive engine temperature. Suburban trains or local trains are called as the lifeline of the metropolis. Over 70 lakh people use the suburban trains operated by Indian Railways' two zonal divisions--Western Railways (WR) and Central Railways (CR)--for daily commuting.